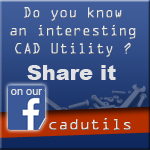 Specialised engineering 2D/3D CAD and Parametric design for mechanical engineers. Create and unfold sheet metal duct, structural steel and fabrication designs for manufacture. It handles everything from simple cylinders, cones, rectangular ducts and ovals, to adapters, adapting any of these section types, interections and multi-intersections between of any of these types to any level of complexity. The software integrates to general CAD systems via DXF files, exporting both 2D patterns and 3D models. Includes a predefined parametric library. Libraries can be extended by creating new and original parametric designs from CAD designs. Lobster back bends (i.e. swept or segmented), Specials etc. Includes seamless integration to general CAD systems such as Autocad, Pro/E, Cadkey, Turbocad, Solid Edge, CAM systems and others. Exports 2D and 3D solid/surface designs and 2D flat unfolded patterns. The unanimous verdict of Sheet Lightning from software, freeware and shareware reviewers is a top 5-star rating award - These are just a few of the many awards received. - Ducts and Flues, Chutes, Hoppers, Chimneys, Tubular steel products with tubular intersections. - Cylinders, Cones, Ovals, Rectangular sections, Adapters (all sections) - Square-to-round, Oval-to-rectangular etc, Any oblique or skew.